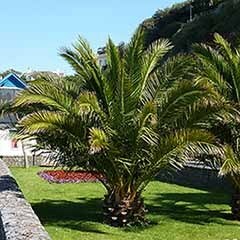 Fabulous architectural foliage to create dramatic tropical display. 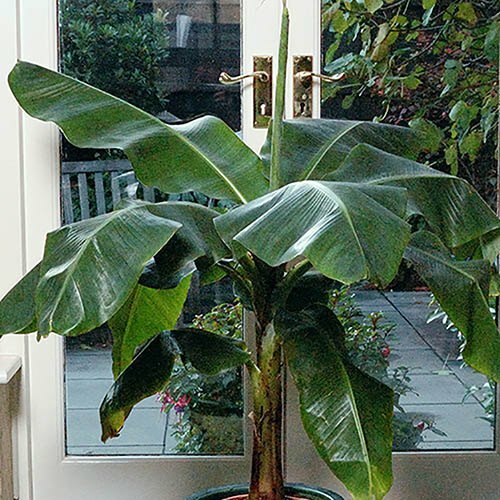 Bananas have become very popular in the last few years, mainly for their large architectural leaves. 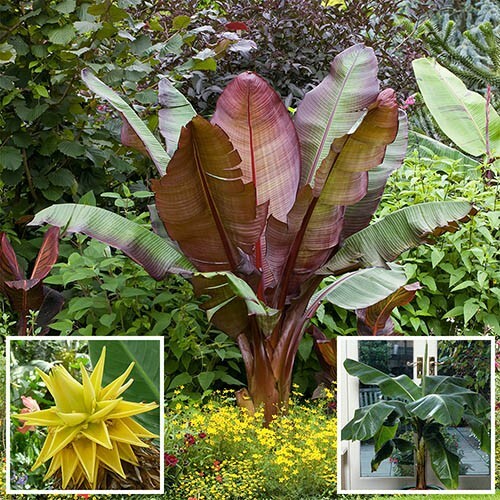 Wonderfully exotic and great for adding architectural impact to gardens, this trio of Banana plants will look especially impressive. 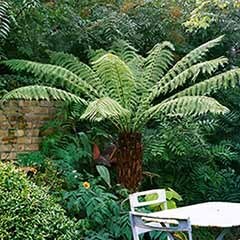 Create a unique, tropical jungle look to your garden while you sit back and enjoy the warm summer sun. 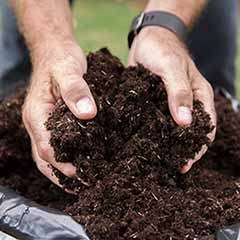 Easy to grow, they'll add impact to your garden very quickly with you barely having to lift a finger! 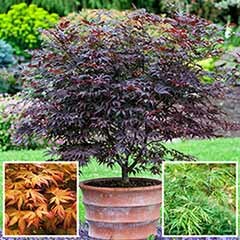 Supplied as young, established plants ready to pot on or plant out. 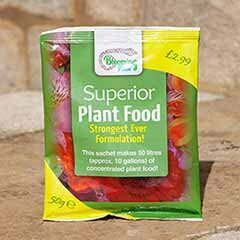 Bananas have become very popular in the last few years, mainly for their large architectural leaves and this trio are no exception. 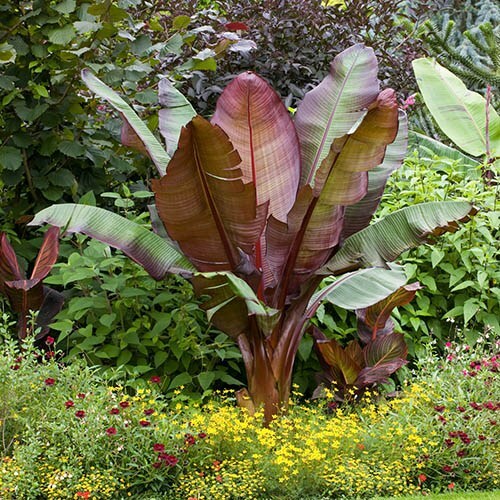 Wonderfully exotic and great for adding architectural impact to gardens, this group of Banana plants will look especially impressive. 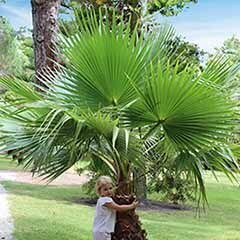 With huge, paddle shaped leaves spreading gloriously from a central trunk, they'll create a unique, tropical jungle look to your garden while you sit back and enjoy the warm summer sun. 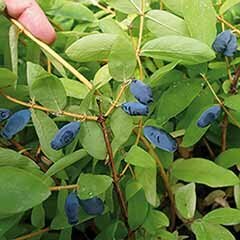 Easy to grow, they'll add impact to your garden very quickly with you barely having to lift a finger! 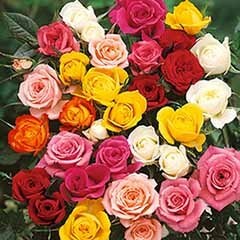 Just keep them well watered and well fed. 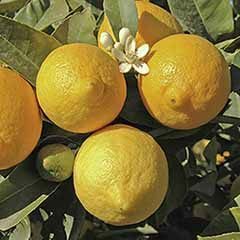 1 x Hardy Japanese Banana (Musa basjoo, does not produce bananas, grow for its tropical foliage only). 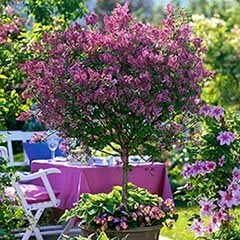 With large, fan-like leaves spreading out through the air will create wonderful shadows on your patio. 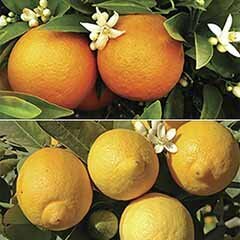 Hailing from Japan, it loves sunshine, but it is hardy to -6C perfect for the UK climate! 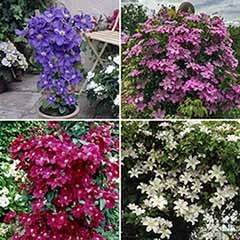 Grows to 1.5m. 1 x Red Abyssinian Banana (Ensete ventricosum 'Maurelii', does not produce bananas, grow for its tropical foliage only). 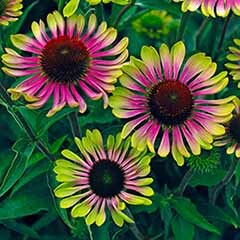 With lovely purple stems and red-purple leaf veins and edges when planted in full sun. 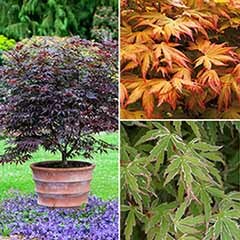 Leaves reach 75cm long each year - best grown in hot, sunny spots in large pots. 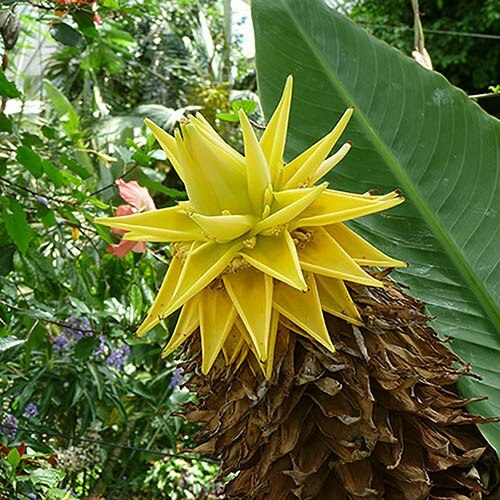 1 x Golden Lotus Banana (Musella lasiocarpa, does not produce bananas, grow for its tropical foliage only). 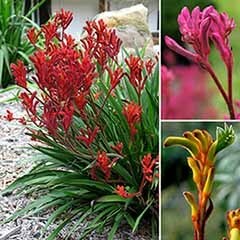 Produces fabulous, paddle-shaped leaves and a striking yellow flower which can last up to 6 months.